Lauren Stillwell is not your average damsel in distress. When she discovers her husband leaving a hotel with another woman, she decides to beat him at his own game. But her revenge goes dangerously awry, and she finds her world spiraling into a hell that becomes more terrifying by the hour. 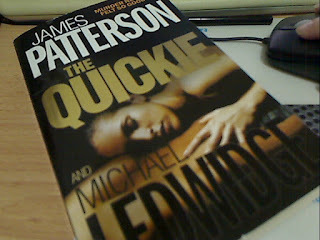 I am back again with another James Patterson title. I promise you that this would be the last one as I bought all these three titles end of last year and have read them all. The Quickie lives up to its name. The pace of the story is fast and quick and again with short chapters, it's very easy to approach this title. There's also a lot of twist and turn.from who Lauren really is and even right up to the ending, you can say readers are being kept at the edge of their seat where twists and turn are concerned. I can safely say that this would be my favourite among the three titles.